The visually impressive U2879VF combines an expansive 28” screen size with 4K Ultra HD resolution for super-sharp, highly detailed images. The 10-bit Deep Color panel can display over a billion hues simultaneously, for superb realism and natural shading. A blisteringly fast screen response time of just 1ms shows fast-moving action without blurring, while AMD FreeSync™ Technology matches the graphics signal to the screen timing to eliminate stuttering and tearing. Ultra-high dynamic contrast of 80M:1 intelligently adjusts brightness to reveal darker image details with greater depth and clarity. A full range of input connectors, including fast DisplayPort and Dual-Link DVI technologies, ensure compatibility with every device. The audio jack allows convenient attachment of headphones or desktop speakers. 4K UHD gives you more! 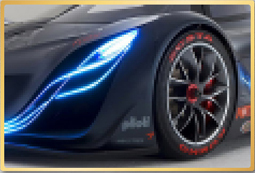 Ultra high definition 3840 x 2160 resolution (4K UHD) yields a superior pixel density of 157 PPI (pixels per inch) on the large 28-inch screen, for outstandingly detailed images. The 10-bit Deep Color RGB display panel ensures substantially more natural transitions between hues for exceptional realism. 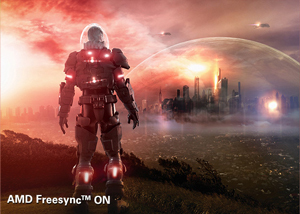 AMD FreeSync technology synchronizes the GPU and the monitor so frames are displayed when ready: no tearing or shuttering. 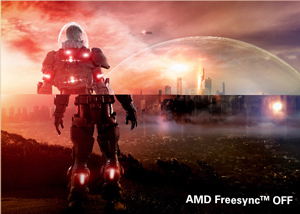 Why AMD FreeSync is better? 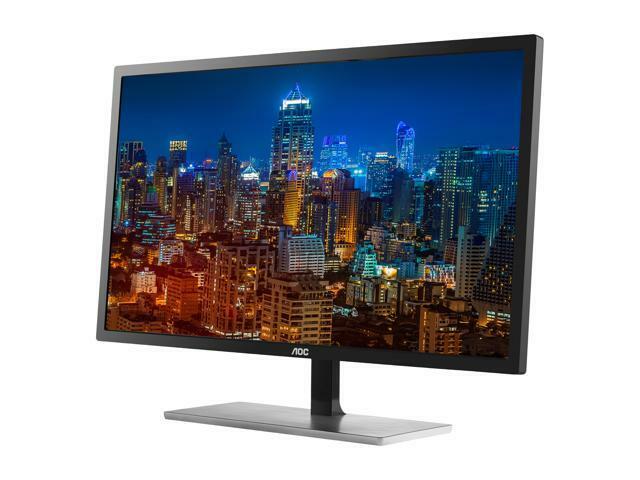 With multiple inputs like DisplayPort, HDMI and Dual-Link DVI, this monitor enables you to multiply your viewing with Picture-in-Picture and Picture-by-Picture capabilities, e.g. watch a video from a media device with HDMI connection on one part of the screen, while browsing the Internet from a computer with DisplayPort connection on the rest of the screen. Fast 1ms (GTG) screen response displays moving images without blurring. HDMI(High-Definition Multimedia Interface) is the digital video and sound standard for connecting the latest consumer electronics like Blu-ray players and game consoles. To save power, a timer can be set to automatically turn off the monitor after a user-defined internal. Software enables the user to set a low power configuration of the monitor when the PC is in screen saving, PC off, and user absence. User can choose the time to turn the monitor off, to save power consumption. Included PC software allows the user to change the OSD setting using their mouse. The bundled Screen+ software splits the PC workspace into four self-contained panes to group application windows for easier viewing. Screen+ also supports multiple monitors. 18.44" x 25.90" x 6.03"
Pros: It really does have a very nice looking picture. Other Thoughts: Takes a very long time to provide a stable picture, so you can forget about ever getting into the BIOS / UEFI if this is your only monitor. Very susceptible to "jiggle." Thank you for taking the time to post your AOC monitor review. We are sorry to hear that you feel our warranty coverage is deceptive. We make every attempt possible to clearly state all of the specifics in detail for our customers to understand. The warranty statement regarding the 1 year coverage for the panel and 3 years for all other parts is the first sentence in our warranty statement and is also highlighted in bold print. For the "jiggle" issue you mentioned, please be sure to have your power and video cables secured to prevent any instability when moving or jiggling your monitor. If you have any additional questions or concerns that we can help with, please contact us directly through the link below and we will be happy to assist. Thank you for choosing AOC!k Have a great day! Pros: It did have good color and brightness. Cons: Monitor died one morning when bring the computer out of sleep mode. There is no AOC splash screen and no OSD. No way to reset the thing either. No tips or tricks I have seen will bring it back on. All I get at this point is a monitor that will stay in low power mode forever. Other Thoughts: Multiple cables tried, HDMI, DP, two video cards. My other LG screen works fine with all cables and both my GPU. Good thing I saved the box for RMA! Thank you for taking the time to post your AOC monitor review. We are sorry to hear about the technical difficulty encountered and we would like to help. Please contact through the link below and we will be happy to troubleshoot the issue and / or set up an RMA for warranty service if needed. We look forward to hearing from you soon so we can be sure to resolve your concerns as quickly as possible. Have a great day! Cons: For whatever reason, DP and HDMI don't seem to work with some driver versions (like for example the ones in a fresh Windows or Ubuntu install) - I was very confused for a while until I updated those. Other Thoughts: -Simple monitor stand, fixed height with pitch axis rotation. Not a con for me, but don't be expecting more functionality. Thank you for taking the time to post your AOC product review. We are sorry to hear about the dead pixel on your monitor. If you are still within your exchange period with Newegg, you can exchange your monitor for a brand new replacement. If you have additional questions or concerns, feel free to contact our support department through the link below and we will be happy to help. Other Thoughts: I had picked up one of these about 6 months ago off another site and it has worked flawlessly. I decided to upgrade my secondary an tertiary monitors to the same one. Well both just showed up and both had a dead pixel in the top right area of the monitor. I honestly dont want to deal with the bother of getting them switched out since neither will by my gaming display but it seems to be a common issue reading all these other reviews. Also they are not VESA compatible minus this one aftermarket mount that looks real ghetto and leaves the stick in the back poking down under the monitor visible. Thank you for taking the time to post your AOC product review. Since today's display's are made up of millions of pixels, if one no longer functions normally, it becomes a bright or dark dot. AOC warranty acts accordingly per the industry standard ISO guidelines which all manufacturers follow across the board. If you have a warranty related concern or other inquiry, please feel free to reach out to us through the link below and we will be happy to help. Thank you for choosing AOC! Pros: -This monitor is awesome. I didn't have any problems getting everything to work. -It tilts up and down. Cons: -The buttons at the bottom of the screen a little too far back in my opinion. You sort of have to reach back underneath the screen to get at them and you have to do a little guessing as to which one you are pressing. It's kind of hard to see the little symbols. But, that might be from my terrible eyesight. These issues are not enough to take an egg away though. Other Thoughts: I bought this at $350. Right now, this is a pretty nice deal. You want a nice 4k monitor, this is it. 3 out of 13 people found this review helpful. Did you? Thank you for taking the time to post your AOC Product review. There are some third party options available for VESA Mount Adapters to attach to an arm or wall. If you need further assistance, feel free to contact our support department through the following link and we will be happy to help you. Thank you for choosing AOC! Other Thoughts: Amazing how many folks claim screen/pixel issues... I don't know if they're insane or I am just lucky.